Maybe I should clarify…especially for certain friends of mine. When I say adult books I mean typical regular books you would find in your local bookstore – not the adult bookstore. I love to read and am a pretty quick reader. I tend to go in spurts with my reading, i.e. 5 books in a month and nothing for the next month. I typically favor books that tell the story of women and children and their daily struggles and triumphs – whether that takes place in the depression or the present. Those stories can be fiction, biographies, or autobiographies. You will notice I do not have any of the “classics” on my list. Several years ago I bought East of Eden by John Steinbeck. I got as far as page 3. I figure my horizons are broad enough. I hope you enjoy my selections. Naked – David Sedaris This is the funniest book! My husband and I both have enjoyed many of David Sedaris’ books. The humor is sometimes crude and controversial but so worth it. This book is filled with short stories so it’s nice to read an entire story before bed. My favorite story of his “SantaLand Diaries,” is not in this book but worth whatever you have to pay to read it. The Color of Water – James McBride I have probably read this book 20 times since it’s my favorite book. James McBrides’ mother fascinates me. She born into a white Jewish family but raised her twelve biracial children as black and married a preacher she adored. This book mixes the history of Ruth McBride with the childhood struggles of James McBride and his family. 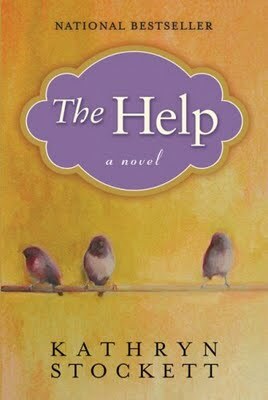 The Help – Kathryn Stockett I cannot recommend this book enough. Once I started reading I could not put the book down. This book tells the stories of a group of white woman and their black maids in Jackson, Miss. during the civivl rights movement. I am eager to see the movie version of this book this summer and hope she releases a new book soon. Funny in Farsi – Firoozeh Dumas My mom gave me this book after she listened to Mrs. Dumas speak at a conference. I, in turn, have given this to friends since I find it to be a laugh out loud book. 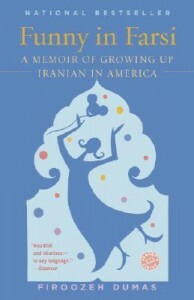 Through short essays, Mrs. Dumas shares her life in California after coming from Iran at the age of seven. You will enjoy reading how her family deals with new American customs and expectations. 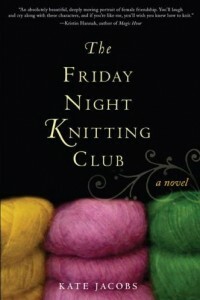 The Friday Night Knitting Club by Kate Jacobs This book focuses on a group of women who come together because of their interest in knitting. Some of die hard sitters while others come more for socializing. Moments in this book will make you smile while others will have you cry – amazing. 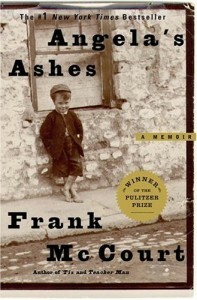 I have read Angela’s Ashes several times and each time I am struck by the perseverance of Mr. McCourt and those around him while growing up in poverty in Ireland in the 30’s and 40’s. This book truly makes you appreciate everything you have. 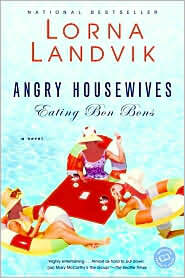 Angry Housewives Eating Bon Bons by Lorna Landvik This story follows the lives of five women who live on the same cul de sac in Minneapolis over three decades. 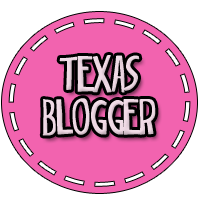 Texas born Faith, antiwar activist Slip, sexpot Audrey, painfully shy Merit, and Kari the widow, all come together to take you along for an amazing read. This was my last selection to include in this list. Truthfully, many other books could just as easily be in this spot. I like this book because Candy is a strong character with a sense of humor while dealing with her ex-boyfriend writing about her and her “assets” in a national magazine. 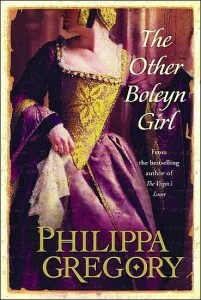 The Other Boleyn Girl – Phillipa Gregory I am not a history buff but I am a social history buff. I love to read about the way people lived many years ago, the clothes they wore, and the activities that kept them busy. After reading this book I am thankful I didn’t grow up in the courts of England. Gregory describes them as being cutthroat and vicious – and that’s just between the siblings. 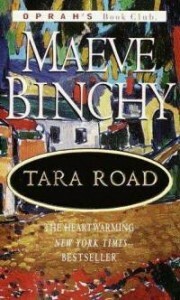 I love Maeve Binchy books, there’s just no question about it. I immediately get drawn into the characters everyday plights and am fascinated how she connects everyone’s lives eventually. Her books, which typically take place in Ireland, always keep me up late at night reading. Do you have any favorite book suggestions for me? This entry was posted in books, observations, reading, Top 10. Bookmark the permalink. So jealous of your speed reading! I have noticed that my reading speed is pretty decent with fiction, if I like the book. I tend to do non-fiction, which is considerably slower for me. I liked the Knitting Club, too. And I can’t remember which Sedaris book I read, but I was laughing out loud. Isn’t Amy his sister? That must have been a funny house to grow up in. Thanks for your suggestions – can’t wait to check a few out! I have read all of David Sedaris’ books and they are all good – I have read – The Middle Place – which was good. I was looking at Sarah’s Key at Target the other day – I’ll have to get it! Thanks for the suggestions, I’ll be sure to read some of them. Thanks for the suggestions. 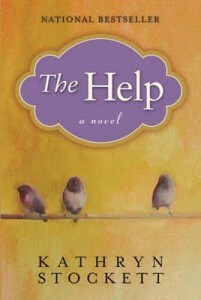 I read The Help based on your recommendation and enjoyed it immensely. I haven’t allowed myself to read any novels lately, as that would surely distract me from work. Looking forward to summer vacation! Kelly, you would like Sarah’s Key if you like historical fiction…I have it if you want to borrow it! Jen! Love this post – was just trying to find some new books to download last night. Too bad several of yours (Boylen Girl, The Help, …) are already favorites of mine! Gonna try a few of your other recommendations soon. Thanks! And if you’re looking for some new ones to try – Sarah’s Key, Water for Elephants, Heaven is For Real, are all recent reads of mine that I loved. I love to read, too. One of my all-time favorite book series (read recently) is by Nancy Turner. The first in the series is “These is My Words.” and there are 2 more, too–so, so good! Read Funny in Farsai per your recomendation, it was great. Try Lord of the Rings, my all-time favorite! I think the first part of this email was directed at me…right?? Do any of these books have pictures?? Thanks for writing that blog…I never know what new books to try and I’m such a slow reader I don’t want to invest time in a disappointing book. So far, your recommendations have been amazing! I’m also jealous of how fast you read. Even Alex is a faster reader then I am and whizzes through books. I second the David Sedaris books, very funny. After that our reading tastes diverge. I just finished up with the “The Girl Who..” series by Stieg Larsson. Based on a recommendation that I think you found in a magazine I just started the Kurt Wallander series by Henning Mankell. It’s another Swedish crime series. I also recently read the “The Redbreast” by Jo Nesbo. This book was part of a series about a Norwegian police officer Harry Hole. Ooo – I read one of those Kurt Wallender books a few years ago, too. I really liked it – don’t remember the name of it. My husband and I have both read and loved the Hunger Games trilogy. Thanks for the recommendations, I just added a bunch of them to my to-read list! Thanks for the suggestion Heather. I had another friend tell me about the Hunger Games – I’ll need to put that on my list. P.S. Just remembered I really liked the The Time Traveler’s Wife. Read it last summer, though I know it’s been out for a while now. ANYTHING written by Jodi Picoult ROCKS!!! some neat parenting/special needs kids books I read recently are – Cowboy & Wills by Monica Holloway, and Now I See The Moon by Elaine Hall. neat!